Overall, Skyrim on Switch is as good as I hoped it would be. I still find new areas to explore and new secrets to discover. Being able to take this awesome title on the go truly showcases why the Nintendo Switch is king. Sadly, Skyrim is a 2011 game, and at times it really shows. Because of this, it doesn’t stand up against a game like Breath of The Wild, though that comparison may not be fair. Lego Marvel Super Heroes 2 feels like the solid end of TT Games' exploration of the Marvel Universe. There's more characters here and this mashup of worlds provides a good deal of variety. To me, this might very well be the way I play Skyrim from now on because it’s so easy to put down when my daughter or wife need me and pick it right back up once my free time starts rolling in again. So yes, if you’re a Nintendo Switch owner I fully recommend buying Skyrim (again) if you still find yourself wanting to be Dragonborn, like myself, after all these years. Overall, diving back into the world of Skyrim was both nostalgic and exciting. Obliviously if you enjoyed the original but missed out on the DLC or just want to revisit this adventure, Skyrim is a great addition to your Switch library. The Elder Scrolls V: Skyrim on the Nintendo Switch might just be the best way to play this modern classic. The Elder Scrolls V: Skyrim is one of the best games ever made. Years later, that continues to be the case. This adventure offers a rich world, densely packed with exciting things to do, as well as many occasions for creating lasting memories. I jotted down exciting things that happened during this particular playthrough so many times I lost count. 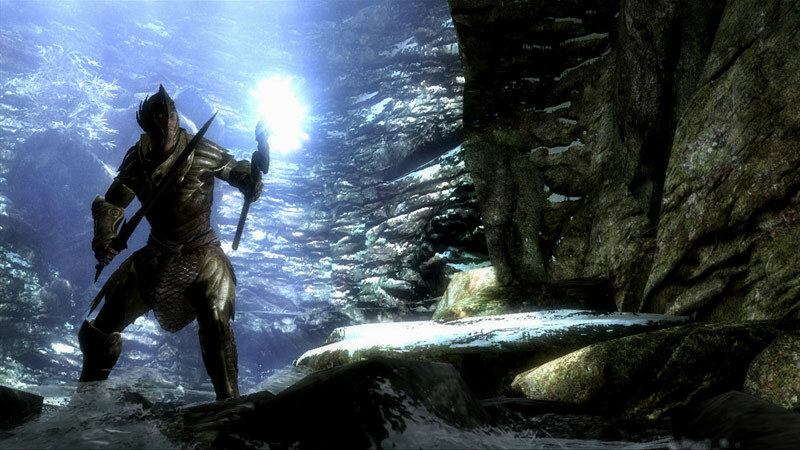 The Switch isn’t short of games that have already taken a bow, or several, on other hardware, but Skyrim might be the one that most deserves another look from both hardy Elder Scrolls adventurers and absolute beginners alike. 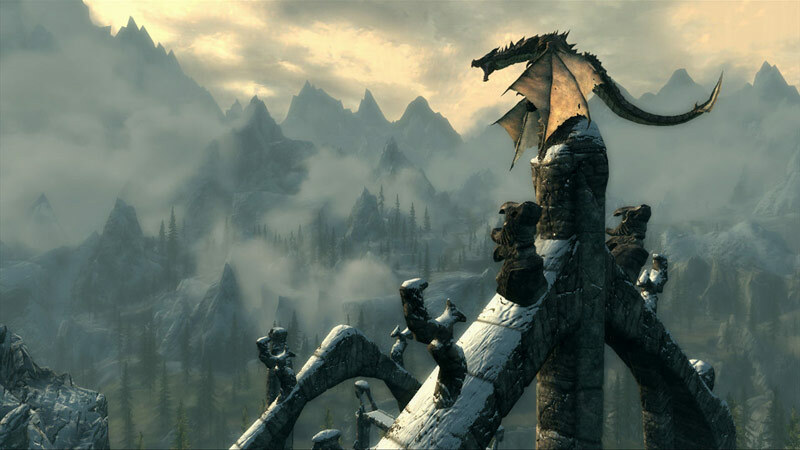 Although it may not be immune to the test of time, The Elder Scrolls V: Skyrim still holds up as one of the most immersive virtual worlds ever created in a video game. All of its vastness, beauty, characters, stories, and goofy bugs fit nicely onto the Switch, where it runs at a good, steady framerate and resolution. The Elder Scrolls V: Skyrim is an amazing game and this was never more true than in 2011. The 7th generation consoles saw the complete edition as a re-release and last year we saw it released again for the Xbox One and PlayStation 4. There aren’t many negatives to the entire Skyrim experience on Switch. While it doesn’t offer the recent mod support the other versions got, it still offers tons of content to experience and enjoy. The motion controls are a bit of a mixed bag, but not required at all. The most important feature, though, is the portability added with the Switch version. Skyrim is less a game and more a portal to a whole other dimension begging you to unlock all of its stories and experiences. The more you explore and discover, the more you appreciate just how incredibly grand the game is. The original version of Skyrim is still an immense, engrossing RPG, and the quality, number, and variety of its quests makes it as easy to become lost in its world as ever. With the addition of Zelda-themed gear that's actually useful--and the fact that you can play anywhere--the Switch version of Skyrim is a great excuse to revisit a much-loved RPG. 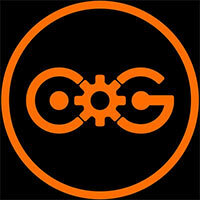 Motion controls add a breath of fresh air to a familiar game, with astounding results. A must-have for anyone with a Switch and a love of open world games. There’s not a whole lot else I can say about the Nintendo Switch port of The Elder Scrolls V: Skyrim. It’s a worthy addition to the Skyrim set, maintaining everything that made Skyrim so popular. The portability of the Switch is easily Skyrim‘s biggest draw, allowing me to battle dragons and shout Thu’ums at my enemies everywhere from the traffic jam on the way home from work to laying in bed before I fall asleep. The Elder Scrolls V: Skryim for Nintendo Switch sells itself on its name alone. It’s Skyrim…for Nintendo Switch. Are there some additions? Sure, but nothing that changes that core experience. And that core experience is what you’re getting, but with the ability to take it wherever, whenever. If that is worth $60 to you then this is a must-buy. If you’ve never played Skyrim then this is definitely a fine way to play it. Six years later, Skyrim remains true to itself - even on the Nintendo Switch. Even if it feels dated in some areas, this is still a great RPG with many hours of gameplay. 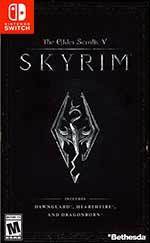 If you've never played it, but appreciate the genre, we highly recommended it, but if you have already spent hours playing in Skyrim, then you should consider if a portable version is worth the asking price. Playing the game in handheld mode works great. The graphics are improved from the original version, but the animation is still terrible. Amateurish voice-acting and simplistic quest and narrative design. The Elder Scrolls V: Skyrim is praised because it offers a wonderfully realized world, memorable moments, and near-endless things to do. While in some aspects the Switch version shows its age with dated graphics and stiff animations, it’s so easy to look past when there’s a vast world in your view with the sense of discovery around every corner. The Elder Scrolls V: Skyrim has been my most mind-blowing gaming experience since I played Half-Life 2 on my Nvidia Shield tablet, and really sets the bar high for what’s possible on Nintendo’s wonder console. It’s so good, in fact, it’s worth buying a Switch for, which is the rarest and best kind of acclaim any game can aspire to. And hey, that’s just a minor complaint for what is every bit the great port we were hoping it to be. Portable Skyrim, the reason some us bought into the whole Switch concept to begin with. And with so much content, I’d forgotten just how rich and detailed the world of Skyrim could be. Perfect for making even a long commute feel like a breeze. The Elder Scrolls V: Skyrim en su versión para Switch es una gran conversión que tiene como principal atractivo poder tener el gigantesco mundo que construyó Bethesda en la palma de la mano. Si ya jugaste Skyrim y consideras que te conviene pagar de nuevo el precio completo, adelante, puedes confiar en que este port estรก bien trasladado. Si es la primera vez que te acercas a Skyrim hazte un favor y cรณmpralo; es mucho mรกs barato en otras plataformas, pero si quieres consentirte con esta versiรณn, valdrรก la pena el gasto. Creo que a pesar de ser un buen intento, tanto el tema de los controles de movimiento, como la integración de ls Amiibo en esta versión de The Elder Scrolls V: Skyrim, terminan siendo elementos que se siente sobrados y que bien pudieron haber sido recortados al final. Difícil es que un seguidor de los juegos de rol no haya jugado al menos a una vez total o parcialmente a The Elder Scrolls V: Skyrim. 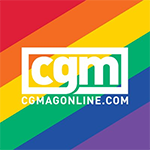 Es uno de las obras incuestionables del género y está disponible para no pocas plataformas a lo largo de dos generaciones. Si lo jugaste en 2011, puedes valorar su compra a modo de revisión. Multitud de cosas por hacer, de misiones por realizar y de personajes a los que conocer. Y todo ello enmarcado en un fantástico apartado técnico que sorprende sobretodo en la vertiente portátil. Skyrim tendrá sus años, sí, pero somos incapaces de mantenernos alejados de su embrujo. La Sangre de Dragón nos llama. Es nuestro destino. Auf die unpassende und die Immersion störende amiibo-Einbindung hätte man zwar ebenso verzichten können wie auf die nur halbherzige Bewegungssteuerung, die an schlechte Wii-Zeiten erinnert. Doch wer in den letzten Jahren tatsächlich noch nicht Station in Himmelsrand gemacht hat und ein Faible für Fantasy-Rollenspiele hat, bekommt hier eine kompetente Umsetzung mit allen Erweiterungen. A l'occasion de sa première sortie portable, la série Elder Scrolls fait le bon choix et brandit l'étendard du confort, traduit en jeu par un framerate stable et jamais pris en défaut, quelle que soit votre destination. Non, cette version Switch de Skyrim n’a pas pris une flèche dans le genou ! La petite cartouche contient des centaines d’heures de quêtes, d'exploration de donjons, de Fus Ro Dah dans une expérience riche à emporter partout avec soi. Selon nous plus intéressant à envisager en mode portable qu’en mode TV, ce portage très réussi est une fois de plus la preuve que bien utilisé, le hardware de la Switch est capable de nous délivrer de belles expériences nomades. L'affaire est donc entendue : si vous possédez un PC ou une autre console moderne, il n'est absolument pas nécessaire de privilégier la version Switch, car les autres versions sont au moins aussi bonnes et vous coûteront beaucoup moins cher. En revanche, les puristes Nintendo peuvent plonger dans Skyrim sans trop d'hésitations, car l'aventure originale reste toujours aussi riche et le portage est de qualité. Há que elogiar o trabalho da Bethesda em trazer um jogo deste calibre para a híbrida da Nintendo. 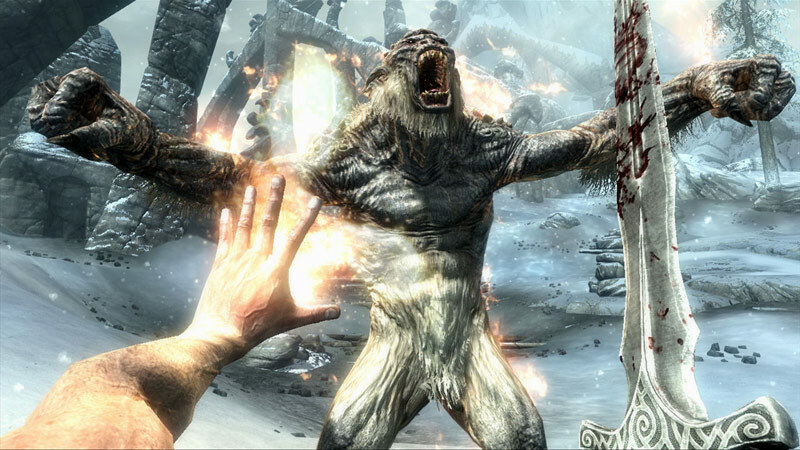 Repleto de conteúdo, The Elder Scrolls V: Skyrim até pode estar datado em alguns aspectos (seis anos de existência fazem mossa) mas não deixa de ser um dos melhores jogos de aventura e RPG de sempre. Che Skyrim sia uno dei migliori giochi di ruolo della scorsa generazione ormai non dovrebbe stupire nessuno. L'edizione per Nintendo Switch mostra un po' il fianco a livello tecnico, ma gli enormi contenuti di gioco e il grande pregio di essere giocabile ovunque fanno sì che anche questa "incarnazione" abbia una sua identità e un suo senso di esistere. Acquistare la versione Switch di Skyrim per giocarci su un televisore ha poco senso, ma le cose cambiano prendendo tra le mani l'ibrido Nintendo per godere di quel piccolo miracolo che è il quinto The Elder Scrolls in versione portatile. I segni del tempo, va detto, sono evidenti e al giorno d'oggi i 30 immagini al secondo possono far storcere il naso, ma non si nota alcun problema di fluidità, nemmeno durante i combattimenti più concitati. 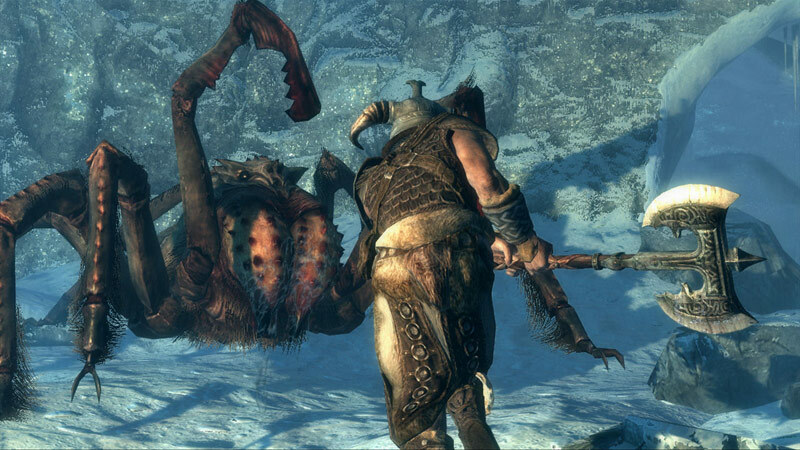 No, The Elder Scrolls V: Skyrim non ci ha ancora stufato. Al contrario, il porting per la piccola della casa di Kyoto ha fatto riaffiorare dolci ricordi, quelli legati al primo indimenticabile viaggio nella regione settentrionale di Tamriel, una landa caratterizzata da un'atmosfera magica, un mondo brulicante di attività da cui lasciarsi catturare fino a perdere la cognizione del tempo. 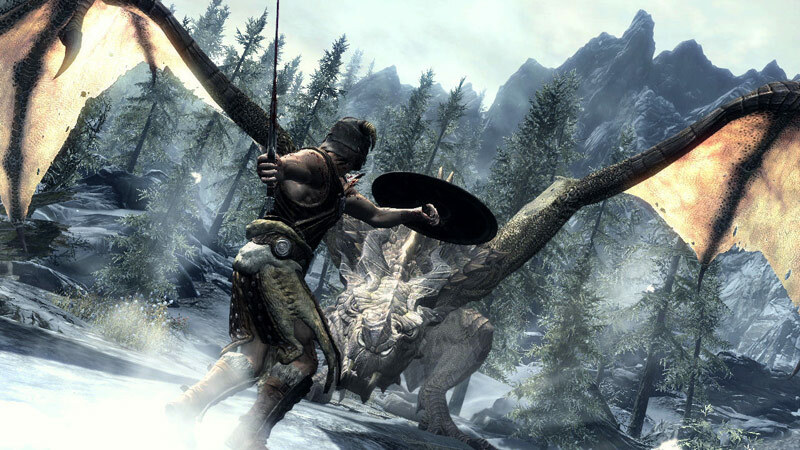 Met releases op oude consoles, PC en later ook als Special Edition, is Skyrim al flink wat keren uitgekomen. Door elke keer net dat beetje extra te bieden in de vorm van graphics of verbeterde mod-support, doorstaat de titel de tijd. Ook op de Nintendo Switch, want Skyrim op een portable spelen, wie wil dat nou niet? Heb je Skyrim nog nooit gespeeld, heb je een Switch en ben je een liefhebber van open wereld RPG’s? Dan mag deze game zeker niet in je gamecollectie ontbreken. Toch mag gezegd worden dat we te maken hebben met een zes jaar oude game en dat merk je aan de ouderwetse opzet van de quests en bepaalde grafische aspecten. Dat neemt niet weg dat je je tientallen, zo niet honderden uren kan verliezen aan de Switch-versie van Skyrim.